Specialist service and repairs for Fuji Xerox, Ricoh, Lanier, Toshiba, Canon and many other makes and models. With over 33 years experience servicing photocopiers and laser printers, our ‘number 1’ goal is to get your machine back online within 2 – 4 hours of logging a service call. All work is unconditionally guaranteed. We recommend an use genuine OEM parts for optimal performance, cost effectiveness and all parts are backed with OEM life warranties. Here is why you need to call us now! 1. 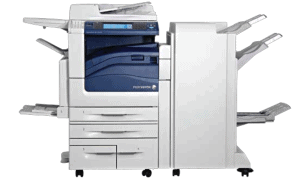 We will service, repair, refurbish your photocopier/printer at the lowest possible price. Guaranteed. 2. The use of genuine parts guarantees your photocopier/printer repair will go the distance. 3. All work guaranteed. If it’s not fixed properly on the first repair, we come back and fix it for free! 4. We connect Mac and PC Computers so you can print and scan! Click here to see Makes and Models we service. Our goal is to see that you photocopier/printer is up and running within 2 – 4 business hours of your logged call.